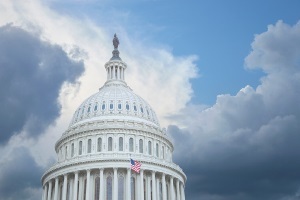 The outlook for prompt passage of legislation sought by both the life and property and casualty insurance industries is cloudy at best. Bills like TRIA and TRIM might face delays from Congress. Updated: Robert Costa, a Washington Post reporter, said on Twitter today that Hensarling has decided not to run, leaving Rep. Pete Sessions (R-Tex. ), chairman of the House Rules Committee, as the only likely opponent against McCarthy. The resignation of Eric Cantor as House Majority Leader, following his stunning primary defeat to a neoconservative would lead a pundit, with a background as a meteorologist, to say the outlook for prompt passage of legislation sought by both the life and property and casualty insurance industries is cloudy at best. Indeed, Cantor’s precipitous fall from grace could lead some meteorologists to put up storm warnings in terms of the outlook for passage of insurance legislation preferred by insurers. That’s because Cantor’s defeat will strengthen the ability of conservatives demanding a lesser role for the federal government to push through legislation weakening the Terrorist Risk Insurance Act (TRIA), whose reauthorization is by far the No. 1 priority for the P&C industry. The current program ends Dec. 31, 2014. This would also impact passage of legislation that would clarify that the Federal Reserve can use insurance metrics in overseeing insurance companies. For example, in comments last week, Rep. Peter T. King, R-N.Y., stated specifically that the strategy of House Republican moderates is to get the weakened House version of TRIA renewal legislation through the House Financial Services Committee (FSC), then replace it with the help of moderate Republicans and Democrats, with the Senate version of the bill. Given that Rep. Jeb Hensarling, R-Texas, current chairman of the House FSC and a prime supporter of the Terrorism Risk Insurance Modernization Act or TRIM Act, is going to be a candidate to succeed Cantor, that strategy now faces long odds. “There are many ways to advance the causes of freedom and free enterprise, and I am prayerfully considering the best way I can serve in those efforts,” Hensarling said, confirming last week that he wants to replace Cantor. King also touched on it in comments in the New York Times. King said Cantor’s defeat will put an immigration overhaul even further out of reach, something that would hurt Republicans in the next presidential election when they will need to cut into the Democrats’ lead with immigrant and Latino voters. “The results tonight will move the party further to the right, which will marginalize us further as a national party,” Mr. King said. The proposed House legislation, likely to be unveiled sometime this week, is TRIM Act. An initial draft, leaked to Republican members of the House FSC several weeks ago, would effectively phase out the current program and bar any federal coverage for any event other than that caused by a nuclear, biological, chemical radiation event for any event of less than $500 million after an initial, three-year phase-in period. It is likely that House FSC Republicans would agree to a compromise that would extend the current program to perhaps five years. But, the glide path of the proposed legislation is for the insurance industry to accept far more liability for a terrorism event than underwriters, rating agencies and investors would deem prudent. A Senate version of the bill was reported out unanimously last week by the Senate Banking Committee. It increases industry “skin in the game” by one-third over three years, which is already stirring concern within the industry, but it is seen as the most likely option in the current atmosphere. And, equally importantly, it would extend the program for another seven years. The bill is S. 2244, the Terrorism Risk Insurance Program Reauthorization Act of 2014. But life insurers would be impacted, too. Life insurers want Congress to act promptly on S. 2270. This bill clarifies that the Fed can apply insurance-based capital standards to the insurance portion of the business, while still keeping banking capital standards for the banking portion of the business. It is also strongly supported by mutual insurers such as State Farm and USAA because it would eliminate them from preparing financial statements in accordance with generally accepted accounting principles, when they are already preparing financial statements in accordance with state-based statutory accounting principles. The bill was shoved through the Senate unanimously last week through an accelerated procedure rarely if ever used to deal with insurance issues. The House version of the bill is H.R. 4510, and there was hope that the House would also agree to processing the bill under expedited procedures; the so-called suspension calendar. That, too, seems to be out the window because it appears committee leadership will hold that bill hostage to getting their version of TRIA reauthorization legislation, the TRIM Act, through the House. Industry lobbyists believe that legislation is being held hostage in order to ensure the support for the TRIM act within the FSC from Rep. Gary Miller, R-Calif., and Carolyn McCarthy, D-N.Y., the primary co-sponsors of H.R. 4510. Also, it is believed that Cantor is being pushed to leave quickly in order to make it easier for the preferred successor, Rep. Kevin McCarthy, R-Calif., to become majority leader. He is now the No. 3 Republican and played a key role in working with Cantor to encourage and provide funds for Tea Party advocates to run in the 2010 election, which resulted in a wave election that turned House control back over to the Republicans. Another candidate for Cantor’s job is Rep. Pete Sessions, also a conservative Texan. If Hensarling gets a leadership post, he is likely to be succeeded as chairman of the House FSC by Rep. Randy Neugebauer, another Texan, current chairman of the of the Financial Services panel’s Housing and Insurance Subcommittee, and a prime architect of the TRIM Act.